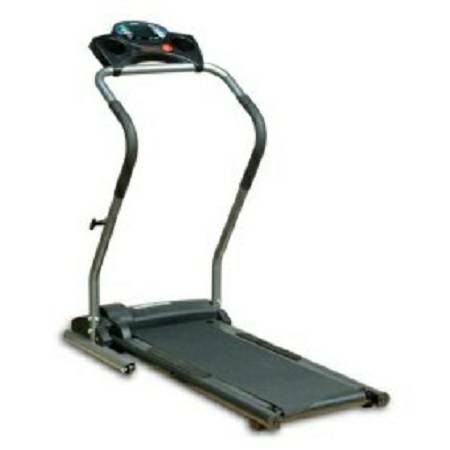 The ultimate in simplicity and space-saving design, the HealthTrainer HT403T Treadmill by Keys Fitness is ideal for everyday and occasional walkers and joggers who want to focus on exercising regularly. The fold-up design allows for easy storage while an intuitive, easy-to-use console will get you working out right away. Many use this for a dog puppy canine treadmill.